The global RPO market witnessed a tremendous growth in 2018 as the market witnessed a significant uptick in activity across buyer segments, industries and geographies. The year 2018 saw a few mega-sized deals being signed as well as significant activity in the mid- and small-market space. 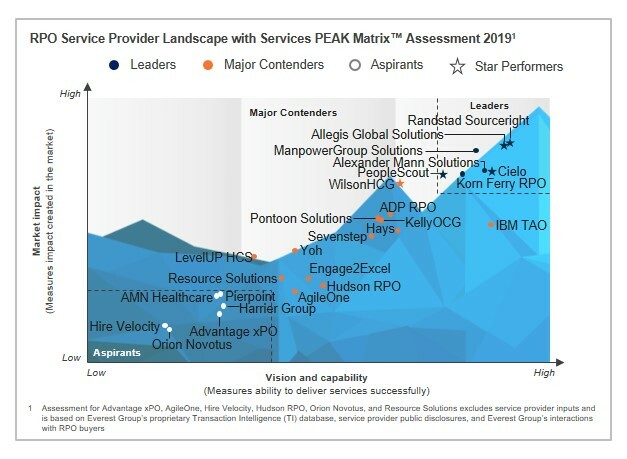 As the market continues to become more competitive, service providers are investing heavily in strengthening their capabilities in different geographies, industries, and recruitment technology, as well as expanding their portfolio of offerings (including value-added services such as consulting, total talent acquisition, etc. ).